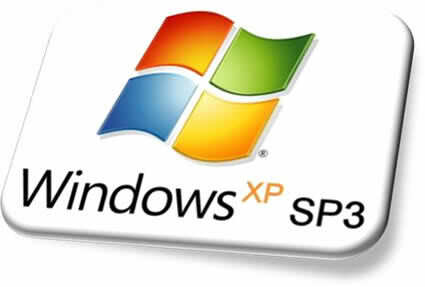 Windows XP Service Pack 3 (XP SP3) fixes a range of bugs and adds new features to Windows XP. The file is a large download and can be applied to any version of Windows XP Home, Professional, TabletPC or Media Center (32 bit only). However, you must have installed either Windows SP1 or SP2 before SP3. * Keep in mind that new patches made available after Service Pack 3 was released (mid April 2008) will still need to be applied. Important notes: Microsoft advise uninstalling any beta or Release Candidate versions before installing this final release. Do not install Service Pack 3 on systems with AMD chips unless a special hotfix has been applied first. This hotfix needs to be applied before SP3, otherwise your system may get stuck in a loop and never start. Click here for the AMD Windows XP SP3 hotfix. The file will download directly from Microsoft's servers - you may want to shorten the file name. The advantage of this full download is that it can be used on any system - plus it doesn't require an Internet connection to install. You can download SP3, copy it to disc or a portable drive and use it on multiple PCs. Alternatively, since the file is so huge, you can download SP3 on a fast Internet connection and use it to update a PC with a slow or non-existent connection. All previous security patches and fixes released for Windows XP. Only two new features have been added: Black Hole Router Detection Windows and Network Access Protection (NAP). The following are already available for Windows XP in stand-alone updates. Windows XP SP3 includes them by default (System administrators must choose to install each of these updates): MMC 3.0, MSXML6, Microsoft Windows Installer 3.1 v2, Background Intelligent Transfer Service (BITS) 2.5, IPsec Simple Policy Update for Windows Server 2003 and Windows XP, Digital Identity, Management Service (DIMS), Peer Name Resolution Protocol (PNRP) 2.1, Wi-Fi Protected Access 2 (WPA2). From the Release Notes: "Microsoft is not adding significant functionality from newer versions of Windows, such as Windows Vista, to Windows XP through XP SP3. For instance, Windows XP SP3 does not include Windows Internet Explorer 7, although Windows XP SP3 does include updates to both Internet Explorer 6 and Internet Explorer 7, and it will update whichever version is installed on the computer. One notable exception is that, SP3 does include Network Access Protection (NAP)." This next bit is going to get confusing. Microsoft stopped supporting the early releases of Windows XP. You can't apply SP3 unless you have, at bare minimum, Windows XP SP1a. However, Service Pack 2 includes all of Service Pack 1a. So... if you have either Windows XP original (with no Service Pack), you must install Service Pack 2 first, followed by Service Pack 3. 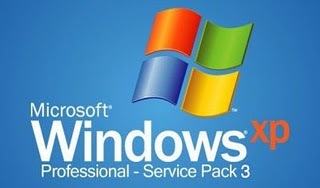 If you have Windows XP Service Pack 1a or Service Pack 2 already on your system, you can install Service Pack 3 now.